Grapevine Solutions and Jayex Technology have been approved by the HSE to supply Outpatient Self-Registration and Patient Calling solution for the HSE’s West North West area. The joint submission by Grapevine and Jayex was ranked 1st out of all responses in terms of cost as part of an open tender, “HSE Framework Tender 3614/14 for Patient Self Registration”. 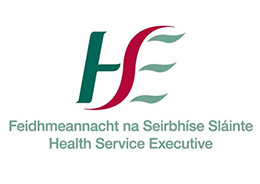 The HSE West North West group includes seven acute hospitals within the Galway, Letterkenny, Roscommon, Mayo and Sligo areas. Building on the recent successful implementation of Self Service Check-In at St. James's Hospital, both Grapevine and Jayex are delighted to have been selected by the HSE and look forward to rolling out their Enlighten Self Service solution to additional hospitals throughout Ireland.